These high-altitude destinations are bound by geography, spirituality, and something more – an intangible richness of experience that revolves around dramatic landscapes and traditional cultures that date back centuries. The Himalayan countries of Bhutan, Nepal and Tibet have been largely isolated from the outside world for centuries due to their unique location carved out of the fabled mountain range. Today, each nation struggles to balance all the modern world has to offer while age-old customs of Buddhism and Hinduism are still practiced in remote mountain villages and colorful monasteries throughout the Himalayan region. Few countries in the world inspire deeper reflection on the meaning of life and the pursuit of happiness than the tiny Kingdom of Bhutan. Bhutan’s King announced to the world that his country would abandon the metric of gross national product (GNP) as a measure of development success, and replace it with Bhutan’s own Gross National Happiness (GNH), which also measures well-being and happiness as indicators of progress. More than 50% of Bhutan is protected under national parks and reserves. The country is also committed to sustainable agriculture that supports biodiversity, with a goal of becoming the first nation in the world to have 100% organic agricultural production. Nepal’s remote hamlets, its Buddhist stupas draped in prayer flags, and its traditional culture, at times, seem almost immune to modernity. It is a trekker’s paradise which includes eight of the world’s ten tallest mountains – including the highest point on earth: Mount Everest. Nepal also is home to the medieval city of Bhaktapur. The wild Royal Chitwan National Park, a UNESCO World Heritage Site, offers a rare chance to glimpse in the wilderness the endangered royal Bengal tiger, the rare one-horned rhinoceros or the golden monitor lizard. Tibet has its own complex story to tell. While Tibetan Buddhism is a primary influence on the art, music, and festivals of the region, its architecture reflects Chinese and Indian influences. Lhasa is Tibet’s cultural seat and the capital of Tibet Autonomous Region. 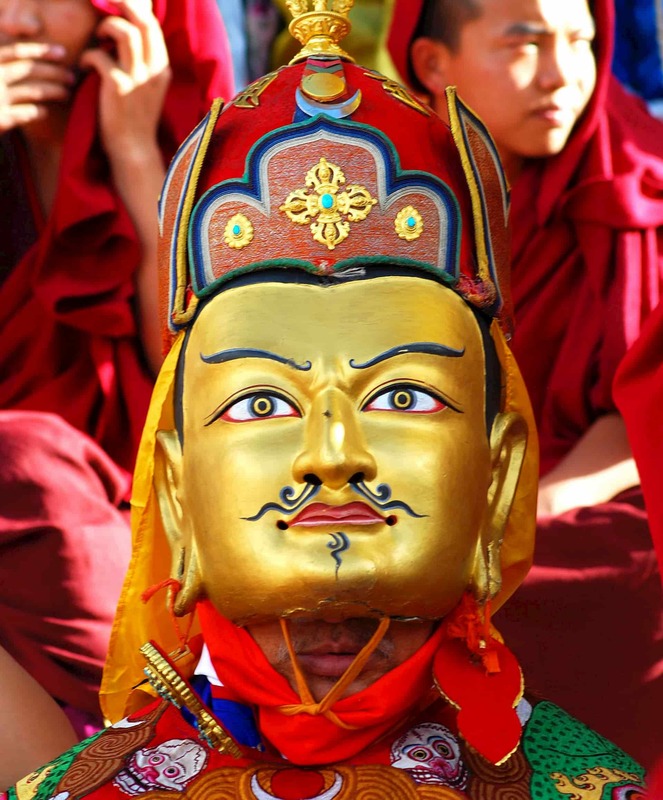 It is home to two UNESCO World Heritage Sites – Potala Palace and Norbulingka – former residences of the Dalai Lama. Lhasa also has a number of significant temples and monasteries, including Jokhang and Ramoche Temple. Tibet occupies the highest region on earth, with an average elevation of 4,900 meters/16,000 feet. The highest elevation is the summit of Mount Everest in Nepal, which rises 8,848 meters/29,029 feet above sea level. Whether Bhutan, Nepal, or Tibet, each of these dynamic destinations allow travelers to experience traditional communities, delve into two of the world’s great religions, encounter genuinely friendly people, and trek extraordinary mountain trails. The Roof of the World… What a perfect metaphor for that one extraordinary place on Earth where the tallest mountains bump heads. I spent nights in my room studying my globe of the world by flashlight, running my fingers over the lines, examining the colors, and trying to decipher the delicious names like Kathmandu. I felt the small bumps and ridges that represented the hard-to-imagine heights of the magnificent mountain ranges. I traveled these mythic mountains and so many more magical places long before I ever left home.